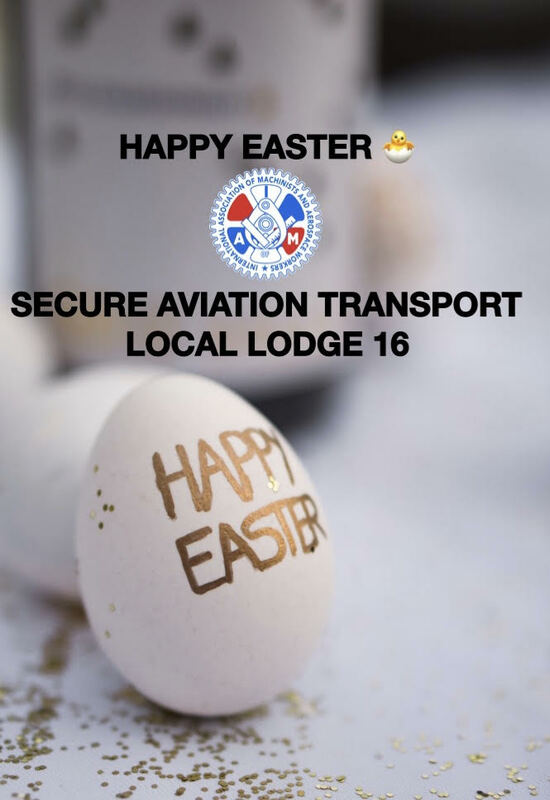 SECURE AVIATION TRANSPORT LOCAL LODGE 16 – Happy Easter! Posted in Uncategorized	| Comments Off on SECURE AVIATION TRANSPORT LOCAL LODGE 16 – Happy Easter! The provincial government is expected to introduce legislation on the Employment Standards Act and the BC Labour Code in the next few weeks. This is a very important opportunity for working people in BC and that is why we are asking for your help. After 16 long years of BC Liberals attacking, reducing, undermining and taking away the rights of workers in our province, we now have a chance to make things better and to start restoring balance to the workplace. But we will only make these gains by using our strength in numbers and a united voice. The business community is already gearing up to fight against fairness and to keep the gains they have made at workers’ expense. It is critical that the Minister of Labour Harry Bains and Green party MLA’s hear from working people on the changes we believe are necessary for workers in BC to have dignity, fairness and respect on the job. Use the prepared letter to send a message to the Minister of Labour and Green MLAs. You can share the email tool with union members, family and friends. Look for posts and stories you can like and share on your union, BC Fed, and NWDLC social media feeds. We have also attached a briefing on the BC Federation of Labour’s first four priorities you can use when talking to others. Government and our MLA’s need to know we care about these issues and are prepared to take action. Your voice matters, make sure you are heard.